How can I prepare for SmartLipo™? What type of anesthesia will be used for SmartLipo™? What can I expect during SmartLipo™? What can I expect after SmartLipo™? How can I find out more about SmartLipo™? Edgewater and Hoboken Cosmetic and Laser Center offers a full range of liposuction options, including SmartLipo™ laser-assisted liposuction, VASER® LipoSelection, and tumescent liposuction. 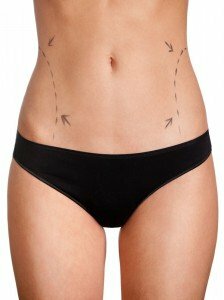 A combination of liposuction techniques will provide better results for fat removal, body contouring and skin tightening. Dr. Khan will review the liposuction techniques that will best meet your specific goals, and answer any questions that you may have. SmartLipo™ is performed in the office operating suite. The length of your procedure/s will vary, depending on the number of body areas treated and types of treatmens. The typical case takes approximately 1-2 hours to complete. After your procedure, you will be brought to the recovery area where licensed, registered nurses will make sure you are comfortable. You return home the same day wearing a high compression binder. Every surgery is different, and you will receive detailed post-operative instructions for your specific procedures. You can expect to have mild bruising and swelling for one to two weeks after your procedure.Ongoing care is available to ensure your fast, safe, and smooth recovery. Dr. Khan will see you for post-op visits as recommended, typically one week and one month after your procedure. Pre-surgery facials and microdermabrasion treatments can your skin as a pre-surgery treatment to provide the better recuperation from your surgery. Post-operative care include massage therapy in order to enhance circulation, support and improved immunity function, and leave the skin looking radiant and healthy. Wearing your compression binder and garments as instructed for six weeks following your procedure will enhance your results. Dr. Taj Khan will be happy to meet with you to discuss SmartLipo™. Please make an appointment for a personal consultation to discuss your customized treatment plan.